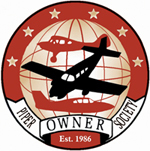 Making Your Aircraft Purchase Easy & Enjoyable. 25+ Years Experience. methodology to help alleviate as much risk and worry as possible, for both first time and experienced airplane buyers. From selection and inspections, to negotiation, registration, financing, and insurance, Kirby’s got the expertise and connections to help you!